Postmortem (PM) meat tenderization is a complex biochemical process that involves multiple endogenous proteolytic enzymes and that is not completely understood. Cell death by apoptosis is recently proposed as a novel mechanism in this process. The signification of the caspases implication in muscle proteins degradation is that the cells are dying through apoptosis, a major cell death programme. Our purpose was therefore to verify this statement using different well known hallmarks of the apoptotic process including cell shrinkage, phosphatidylserine (PS) externalization. Cells start to shrink few minutes after animal death and reach a maximum shrinkage about 24 h postmortem while they showed the typical rounding appearance of apoptotic cells. Externalization of PS is detectable within 1 h postmortem and increased gradually with time. The present work is therefore the first to provide direct evidence supporting the onset of apoptosis in post-mortem muscle. 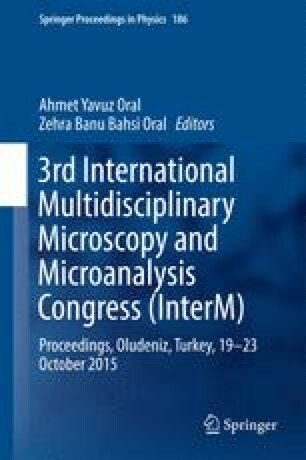 The present findings should lead us to reconsider as a whole, the mechanisms contributing of the development of meat qualities (tenderness, flavor, juiciness …) by a detailed analysis of the apoptosis associated biochemical and physiological modifications taking place within the cells. Many thanks to Christine Barboiron, Arnaud Delavaud and Jean-Luc Montel (URH unit, C2M team) for their invaluable assistance in light microscopy studies. This work is part of one of the QUAPA transversal project funded by INRA. The visit of S. Becila in our institute was funded by a grant from the Algerian Ministry of Education. Many thanks for this support.